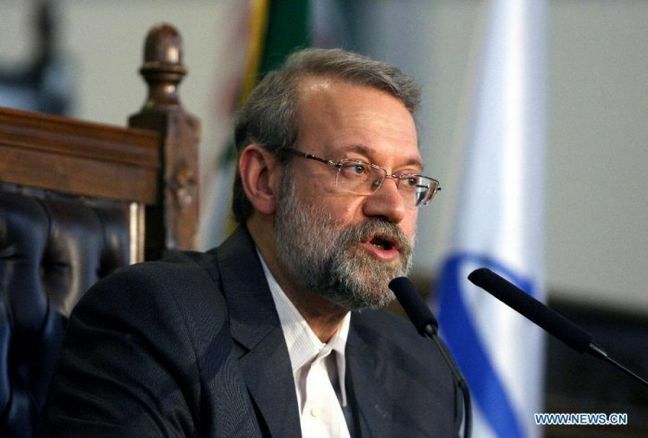 EghtesadOnline: Majlis Speaker Ali Larijani left Tehran for Tokyo on Monday at the head of a delegation to hold talks with senior Japanese officials on bilateral issues, including ways of upgrading parliamentary ties. Before leaving Tehran, the top lawmaker told reporters that “Iran and Japan have had positive cooperation in various areas and expansion of relations with Japan is highly important to us,” IRNA reported. Iran and Japan have stepped up efforts in recent years to develop their relations in political and economic fields. Last May, Japanese Foreign Minister Taro Kono reiterated his country’s support for the 2015 nuclear agreement between Tehran and world powers and said it is highly important that Iran and other parties preserve the international diplomatic achievement, according to Financial Tribune.